Congratulations! You have decided to set up your own home gym and are now at the point of deciding whether to purchase a Power Rack or a Squat Stand. At this point you need to think about just why you need either one and how it is going to benefit your workout plans. Do you want the one that is going to do everything as you progress in your program or do you just want to spend the least amount of money you can and you have limited space in your workout area? These questions can affect your decision, so let’s assume that you have limited money, so you want the best deal you can get with your available funds. So, let’s take a closer look at what exact exercises you can do with each product. Maybe you are just concerned about a piece of equipment that will help build up your lower body. Doing a series of squatting exercises with the Squat Stand is going to be just what you need. If you have a complete weight set, and an adjustable weight bench, you’re in business. Well, there you have it, you can do squats and bench presses.When working with the Squat Stand, you have nothing for safety unless you have a human spotter working with you or maybe a pair of saw horses. 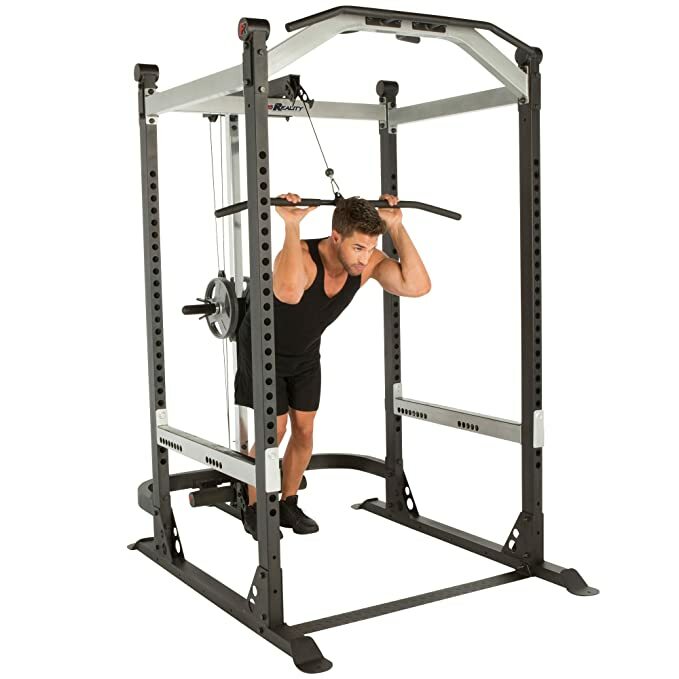 Looking at the Power Rack, you can also use it for squats, bench presses, chin-ups, pull-ups, so you are able to get a full body workout with this product. Working with the Power Rack is much safer as it has a feature where you can have safety bars inserted in case you need to dump the weight. When looking at the Squat Rack, you can spend anywhere from $45.00 up to and a bit over $2oo.oo . Now that doesn’t sound like to much but you must remember, it is a squat rack and that is what you can do with it, Squats, plus you will be able to use an adjustable bench with it to do bench presses if it extends high enough. You don’t need much area to set it up in and the height of the stand is not usually a concern either as most of them reach a height of 44-70 inches. You can fit them in anywhere and they are easy to move around should the need arise. The Power Rack on the other hand, can cost from $100.00 to $800.00 and you will need to consider the height of your available area as they can need up to and over 85 inches for you to set them up in. Since they are always stable, the working area in side the cage starts at around 42″ and you can’t change it. You do have the option of adding attachments to the Power Rack. You will be able to do many more exercises with the power rack and do them without a spotter. You can also slip your adjustable weight bench in the workout area for bench presses. You will sacrifice some floor and wall area and once you set it up, it’s pretty much going to stay there unless you want to tear it apart to move it. The shipping cost are much higher on a power rack than it is on the squat rack simply because of its size. This is my go to choice for people who want quality but don’t want to pay gym prices for high end equipment. It has everything a commercial gym setup for under $700. The Power Rack is a larger first time investment than the Squat Rack, but when you consider the total number of exercises you can do with each, the Power Rack comes out in first place. You will be able to do a full body workout as apposed to just working out your lower body with the Squat Rack. If you’re concentrating on building an entire home gym that will last for years, The Power Rack would be the way to go. Another reason to consider the Power Rack, it is a safer piece of equipment. You don’t need a human spotter, the Power Rack is your workout partner and spotter all rolled into one. Using safe equipment is important and it just makes good sense to try and avoid any accidents that could interrupt and postpone your body building goals. To learn more about Power Racks, check out the review on our site, here. With the power rack, you will not have to invest in any other pieces of equipment that you will need as you progress in your body building venture. Good Luck to you and always think about your safety first.